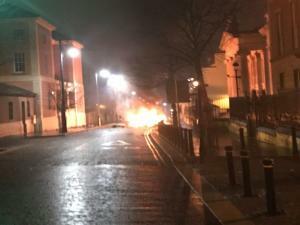 The dissident republican group the New IRA is suspected of being behind a car bomb attack in Londonderry. The attack came shortly after 8pm on Saturday when a vehicle exploded on Bishop Street. 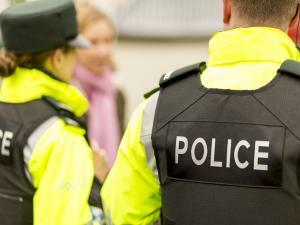 Police Service of Northern Ireland Assistant Chief Constable Mark Hamilton said the New IRA was their main line of inquiry. 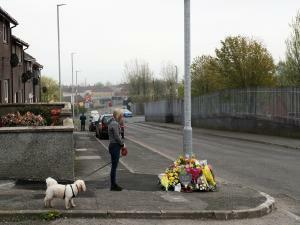 "Our main line of inquiry is against the New IRA," Mr Hamilton said. 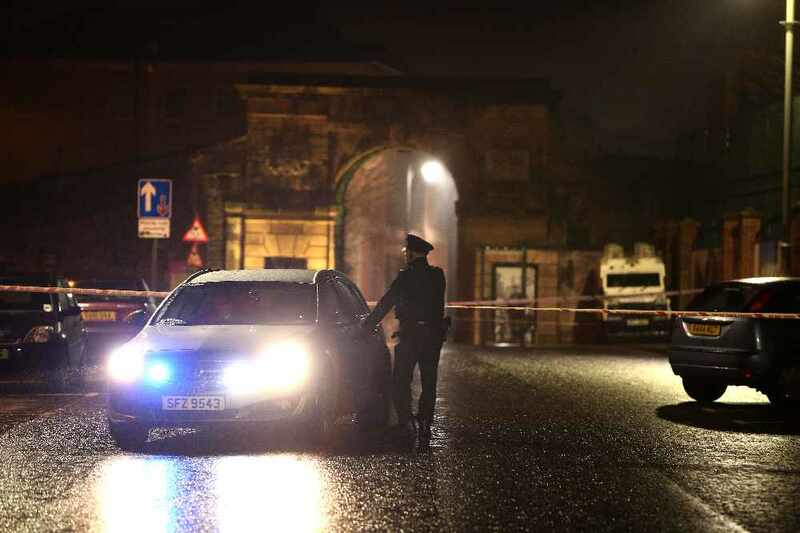 "We believe that some time after 6pm last night (Saturday), in the Quarry Street area of Derry, a pizza delivery driver was hijacked," he said. "He had his Ford Fusion car taken off him by at least two armed men. "Between then and 7.23pm, a bomb was put in that car, driven at least half a mile to outside the court house on Bishop Street and around three minutes later a phone call went in to the Samaritans in West Midlands in England, which was then passed to West Midlands Police who then contacted us. "In the intervening minutes we had already found the car and started to evacuate the area. 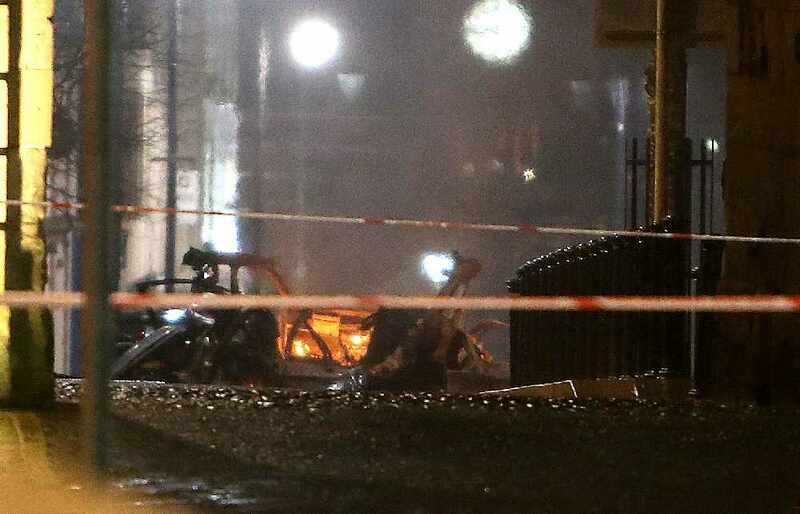 At around 8.09pm, the bomb detonated. "Fortunately it didn't kill anybody and fortunately it didn't cause widespread damage, but clearly it was a very significant attempt to kill people in the local community." He added they got everyone evacuated "just in time". "The bomb detonated just as we were leaving the area and it is only by good grace that local people were not killed," he said. Mr Hamilton condemned the attack as "unbelievably reckless". "Thankfully the attackers failed to kill or injure any members the local community out socialising and enjoying the best of what the city has to offer," he said. A number of church services in the area have been cancelled due to the ongoing security operation. "The small number of people responsible have absolutely nothing to offer Northern Ireland's future and will not prevail," she said. "Our voices across the political spectrum are united. 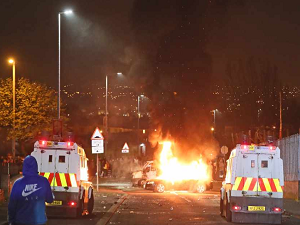 This is intolerable violence and we want to look forward and build a peaceful future for all in Northern Ireland. "I would actually like to ask the people responsible for this what it actually was that they thought they were going to achieve. 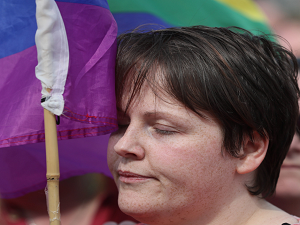 It achieves nothing, it didn't achieve anything in the past, it didn't achieve anything right now," the SDLP mayor said. "We are a resilient bunch in the hospitality sector and this incident last night will not deter us from opening today and getting on with the job," he said. 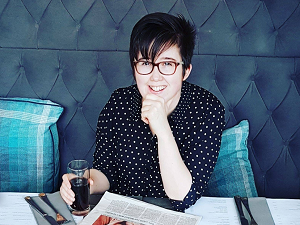 "We have been in touch with many of the businesses impacted by the situation in Bishop Street and the surrounding area and they have bounced back straightaway, opening for business with normal trading hours and welcoming visitors and tourists back to the city."